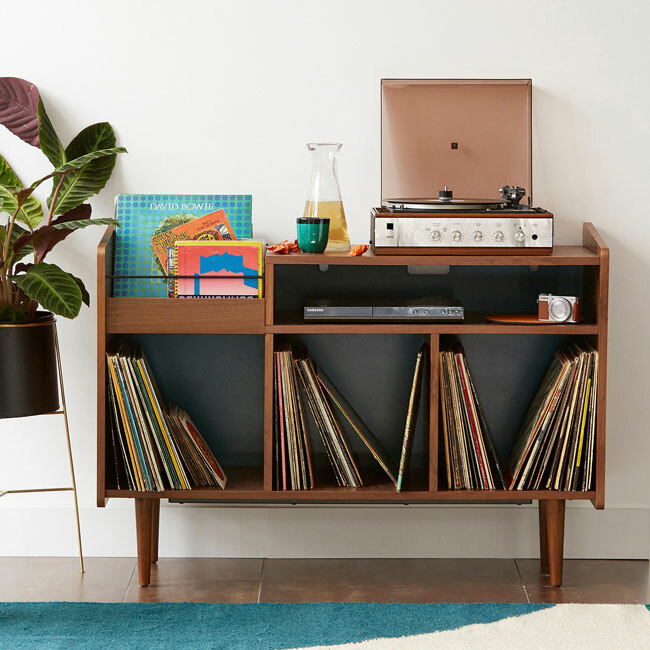 It sold out in days last year, so get on the Ronda 1960s-style vinyl cabinet at La Redoute quickly if you were after one and missed out. 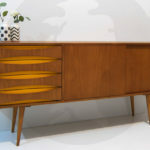 Yes, another item added to the 1960s-inspired Ronda furniture range, which is one of the most popular things I have featured in the past 12 months and well worth checking out if you want something with an authentic midcentury look at a reasonable price, both for the living room and the bedroom. I like how La Redoute kept on adding to it as well, with the vinyl cabinet definitely a case of keeping the best until last. 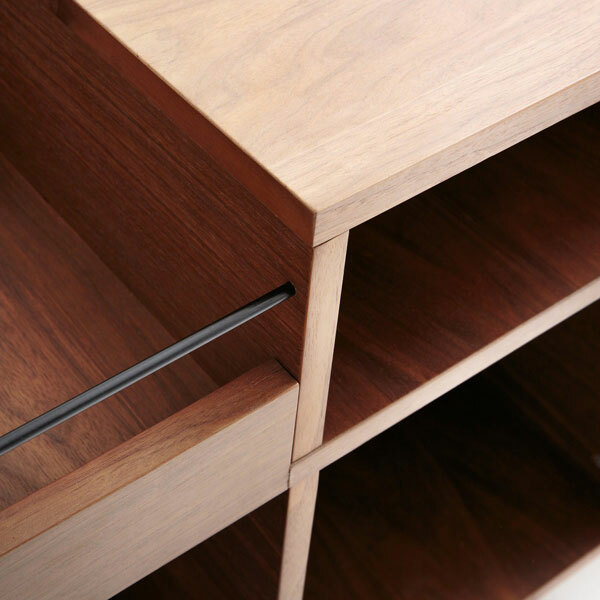 Yes, this is a vinyl cabinet, which goes to show how far vinyl has come in the last few years. No one on the high street would even consider making something like this just five years ago. But here we are, a record storage unit from a (fairly) mainstream retailer. It’s a lovely one too. Style-wise, this is hard to beat. 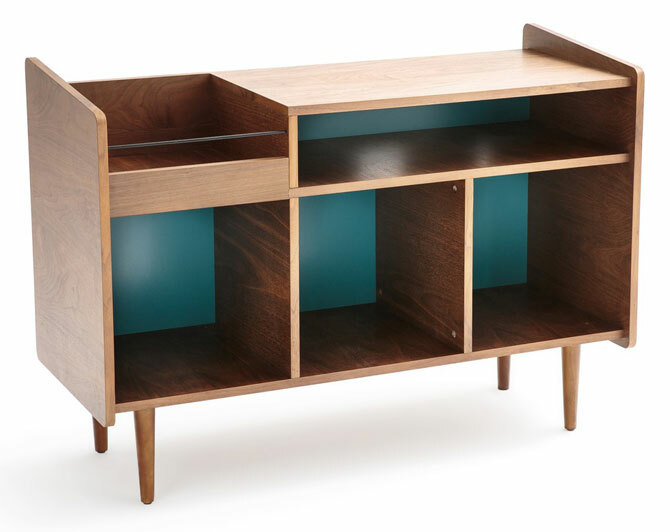 The walnut finish, the high sides, the contrasting coloured panels and the tapered legs. Everything you want to see in this kind of design. But the functionality is its killer feature. 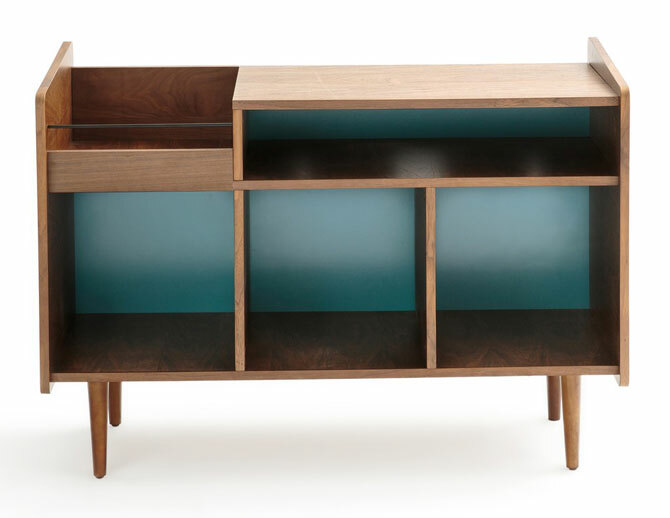 As you can see, this has three large compartments for storing your records, one LP rack for easy access and a long shelf to add in anything extra you need, whether that’s extra media units or somewhere to stick some singles. Your choice. 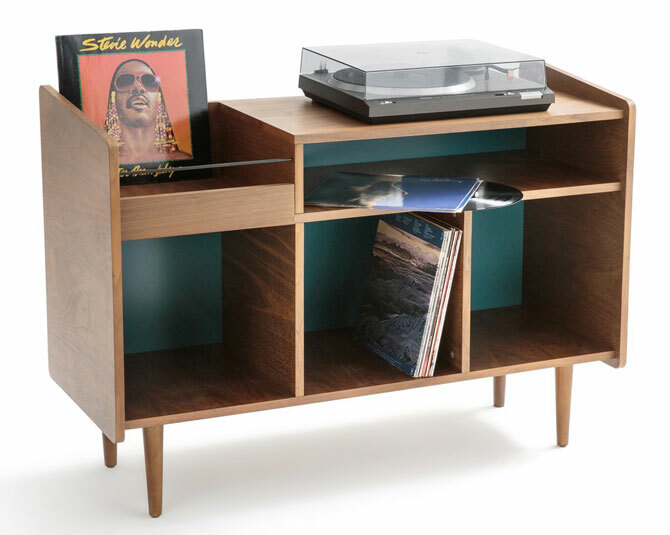 Of course, the surface area leaves space for your record player too, which makes this a great all-in-one. But there’s another great selling point right now – the price. This retails officially for £299, but if you spend over £250 right now, you get 30 per cent off. So that’s a discount of around £90, taking it down to something like £209 if my maths is correct. That’s if it doesn’t sell out again. 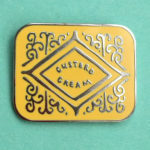 I can’t imagine there’s a warehouse full of these right now. 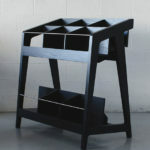 Of course, I have done a top 10 record storage units round-up, but none come in as cheaply as this one right now.